A police statement said there was enough evidence to indict Mr Netanyahu for bribery, fraud and breach of trust in two separate cases. 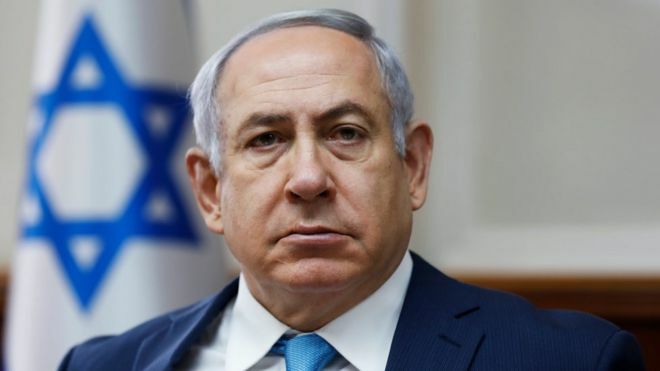 Speaking on Israeli television, Mr Netanyahu said the allegations were baseless and that he would continue as prime minister. The allegations, he said, “will end with nothing”. The second allegation centres on a claim that Mr Netanyahu, Israeli prime minister since 2009, received gifts worth at least a million shekels ($283,000; £204,000) from Hollywood mogul Arnon Milchan and other supporters. Israel’s Channel 10 reported in December that Mr Packer told investigators he gave the prime minister and his wife Sara gifts. A final decision on whether Mr Netanyahu should face charges will come down to the attorney general’s office. A decision could take months to reach. Speaking on Israeli television, Mr Netanyahu said he would continue in his role. The next legislative elections are scheduled for November 2019. Mr Netanyahu heads a fragile coalition, but on television, he appeared confident the allegations would not spur new elections. How has Mr Netanyahu responded? “Over the years, I have been the subject of at least 15 enquiries and investigations,” he said in his TV address. He has faced a number of allegations in his time in office. After his first term as prime minister two decades ago, police recommended that he and Sara face criminal charges for keeping official gifts that should have been handed over to the state. The charges were later dropped. In July 2015, the couple were accused of charging the government for the services of a contractor who did private work for them. The charges were later dropped.